Are you tracking your data right? In a stroke of brilliant ingenuity, the developers and analysts at Markelytics have engineered this Data Validator. Through a series of automated tests based on years in the trenches delivering to hundreds of clients globally; we determine just how efficiently your analytics has been set up. During this process your data is kept completely private, and not viewed directly or indirectly by any of the analysts employed by Marketlytics. Detect any spam traffic coming to your domain, so that you may make the right arrangements to intercept and block them. Checks duplicate pageviews being generated by your analytics setup, making sure that your analytics reports are not misleading. Check if traffic is being generated from your own domain(s) as a result of incorrect implementation, producing erroneous and misleading reports. Check if internal site search is enabled and being used, and your customers can find what they’re looking for. Check whether E-commerce data is being properly tracked, making sure your revenue streams are being monitored. Identifies high bounce sources, so that you may take effective measures to reduce the loss of potential customers. Checks if goals have been set up on your website, so that you can track the right KPIs for your business. Checks if Event tracking is being correctly carried out on your website, helping you understand what your users are doing on your website. Checks if duplicate transactions are being recorded by your Analytics setup, which may lead to misleading revenue related reports. 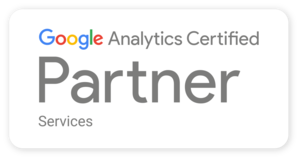 MarketLytics is a Google Certified consultancy specialises in analytics solutions for web & mobile. We provide measurement, strategy, and implementation tools to help your business grow and succeed. Email has been sent successfully! !